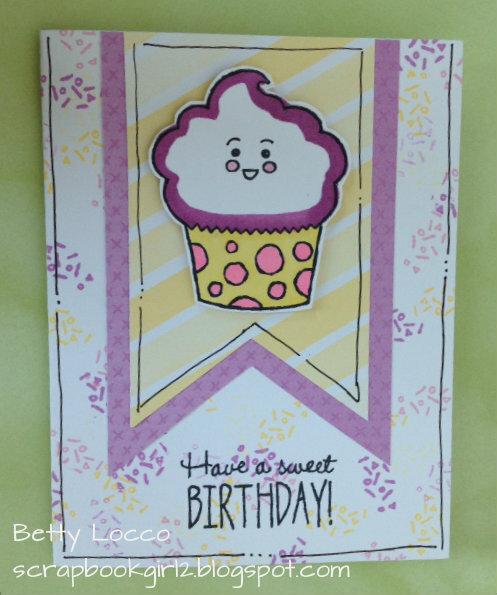 Here is a cute birthday card using the adorable new stamp set, B1532 Sweet Birthday. It is another set that I had to purchase as soon as I saw it. The texture papers are from Z3255 Whimsy Fundamentals. The cupcake is colored using Shin Han Alcohol Markers. 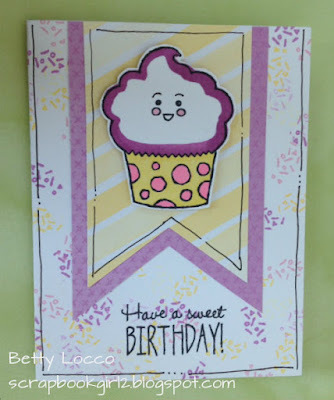 I love the cute little face on the cupcake.